Good for play at our Myrtle Beach Family Golf mini golf locations (does not include driving range). Price is per person for a calendar year. Operational hours vary by mini-golf locations. Photo ID’s will be made Monday – Friday at Dragon’s Lair. Call 843.913.9301 for appointment. 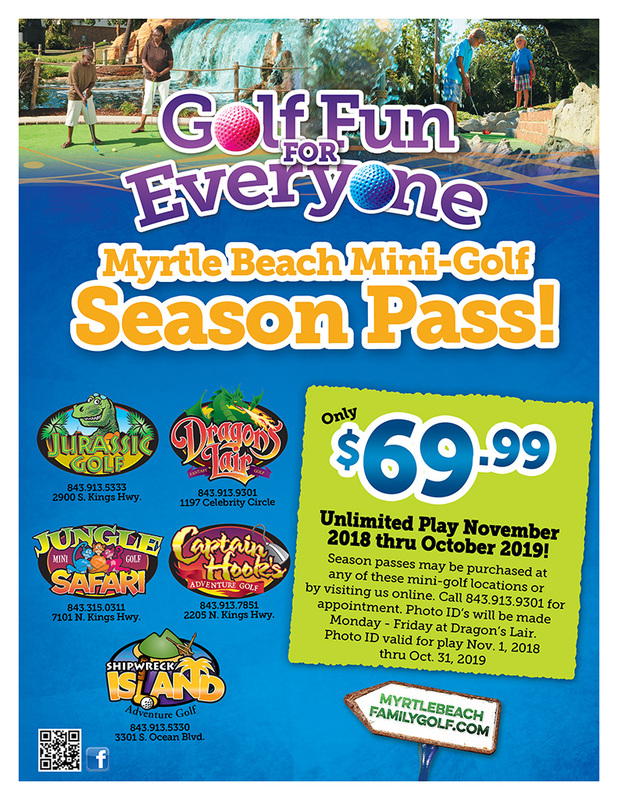 Season passes may be purchased at any of these mini-golf locations or online. Photo ID valid for play from November 2018 – October 2019.